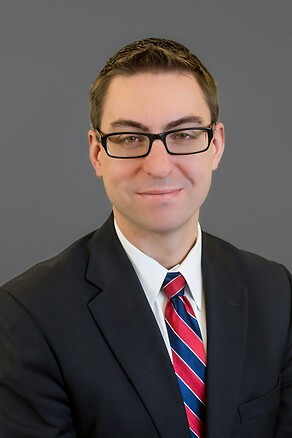 Adam Koelsch is an experienced state and local tax controversy and planning attorney, representing clients in administrative appeals, collection actions in trial-level courts, and appeals in the state courts. Adam advises clients on minimizing their exposure during audits, negotiates fair settlements when there is a delinquency, and helps to structure payment plans that are feasible and advantageous to both parties. Prior to joining the firm, Adam acted as Deputy City Solicitor for the Tax Unit in the City of Philadelphia Law Department. While there, he represented the City in high-dollar-value/complex local tax cases at administrative hearings before the Philadelphia Tax Review Board, in agency appeals and collection actions at the Court of Common Pleas, and in appeals at the Commonwealth Court. Before joining the Law Department, Adam worked at the Kings County District Attorney’s office in Brooklyn, New York, one of the largest prosecutor’s office in the country. He first was an assistant district attorney in the Trial Division, where he managed a substantial criminal case load. Later, he became a Senior Appellate Attorney, developing arguments and writing appellate briefs in a variety of cases, including homicide and fraud cases, in both the state and federal courts. In addition, he has argued on multiple occasions at the New York Court of Appeals, which is the highest appellate court in New York, and has routinely argued at the lower appellate courts in that state.